If you’ve been up on your social media, then you’ve probably come across the many exercise routines. The only problem is, they usually don’t come with pictures!!! We took the liberty of adding some for you! 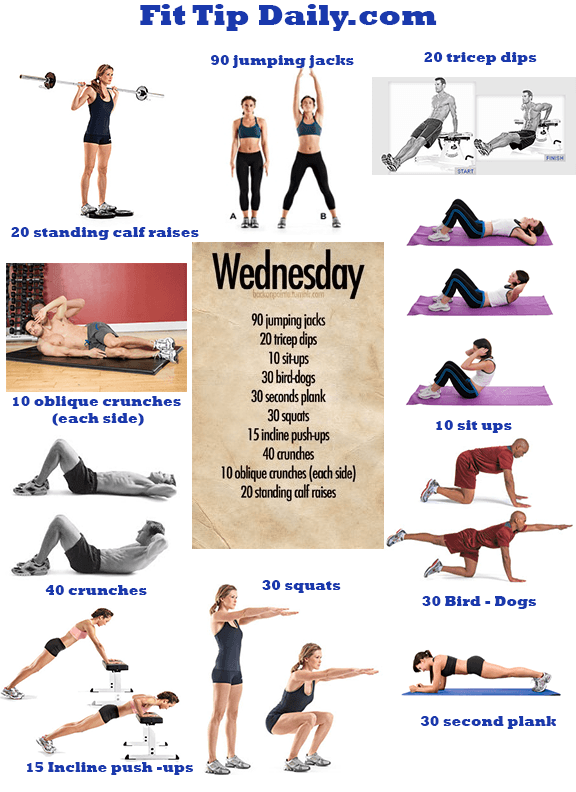 Take a look at Wednesdays workout routine and make this new year one that you can be proud of! Do these exercises one after the other, 1 set of each. Once you have completed 1 round, rest for 1 to 2 minutes. Then repeat for a total of 3 -4 totals rounds. If you love these fitness tips, share them with your friends and family using our share link. You can also print them out to take to the gym or use at home.